Why not become a member of The Electric Theatre Cinema? Join us as an ETC member and enjoy many perks, as well as the knowledge that you’ll be supporting great films in your community! Our monthly Sunday screening takes place at our new home for 2018 onwards – Marsden Royal British Legion. The bar will be open from 6:00pm and with entry to the film at 7:00pm, allowing you time to get a drink in and grab a seat for a 7.30pm start. 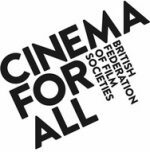 Membership for the 2018/19 season runs from October 2018 to July 2019 and includes a minimum of 10 screenings at your friendly local community cinema! You can become a member at any of our screenings, or via Enjoy Art on Peel Street.